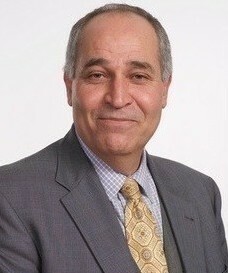 Professor Al-Hasan joined Newberry College in Fall 2012. Prior to arriving at Newberry, he was an associate professor at Milwaukee School of Engineering, WI, during 2007-2012, associate professor at An-Najah National University, Palestine, during 2006-2007, assistant then associate professor at Mount Mary College, WI, during 2001-2006, and assistant professor at Clayton State University, GA, during 1999-2001. Professor Al-Hasan’s research is in the area of Harmonic Analysis, specifically Singular and Oscillatory integrals, History of Mathematics during the Islamic Golden Age, and Mathematics Education. Professor Al-Hasan is currently the Mathematics Program Coordinator, the S.M.A.R.T. Undergraduate Research Director, a Pi Mu Epsilon Mathematics Honor Society Advisor, the Newberry College Fishing Team Coach/Advisor, and the MAA Liaison. He is currently a member of the American Mathematical Society (AMS) (member since 1996) and the Mathematical Association of America (MAA) (member since 2000).